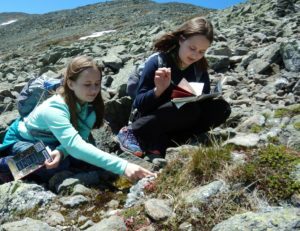 Alex and Sage studying the alpine flora. 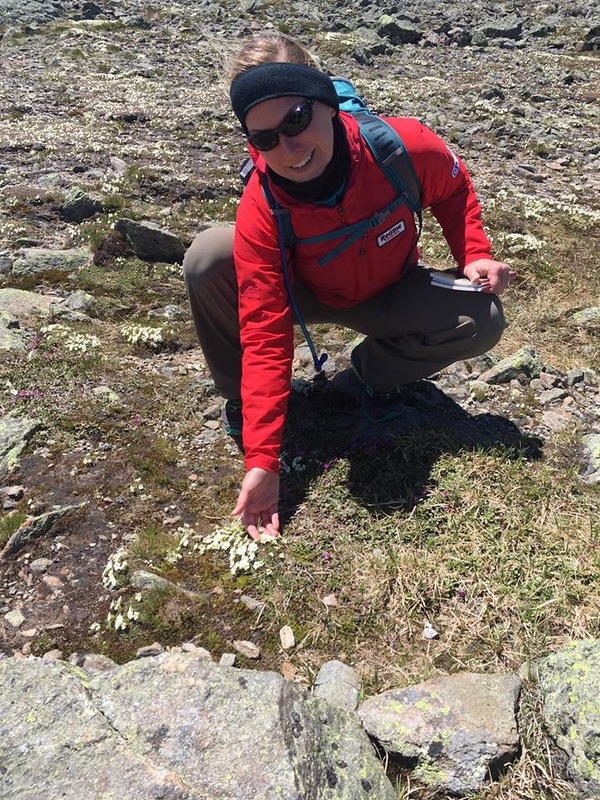 The weather was simply amazing and Redline Guide and naturalist, Liz Wyman, took advantge of it by leading a special half-day Alpine Garden educational out-and-back hike — one of our new Guided Nature Tour offerings. 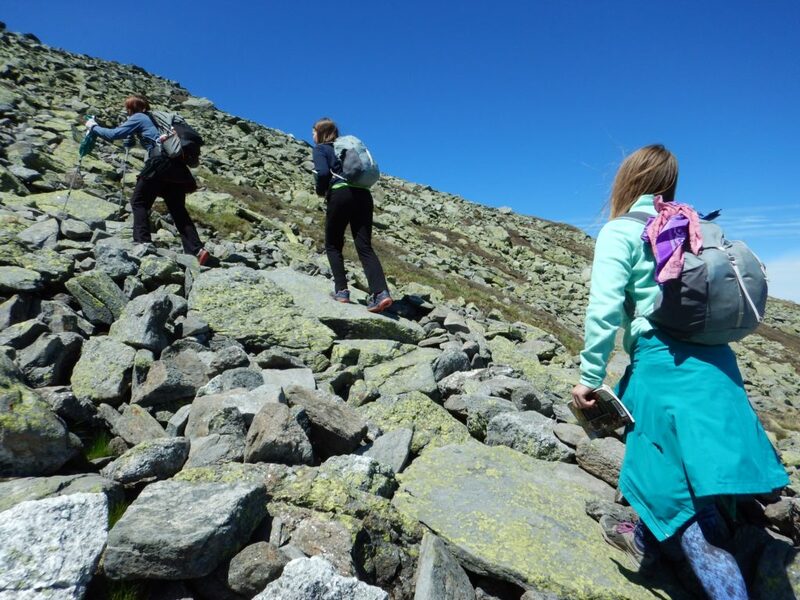 Liz ascended the Auto Road in her car and met our guests at the “Cow Pasture,” from which they ventured forth on foot hiking across the Alpine Garden, and back. Normally we would drive up together, but in this case our guests were already up there performing trail maintenance. Yes, you read that right. Trish, Alex, and Sage are the volunteers that have adopted this amazing trail. The trio heads up a few times each year to work on the trail, sort of helping all who walk it (thank you) as well as the adjacent environment. 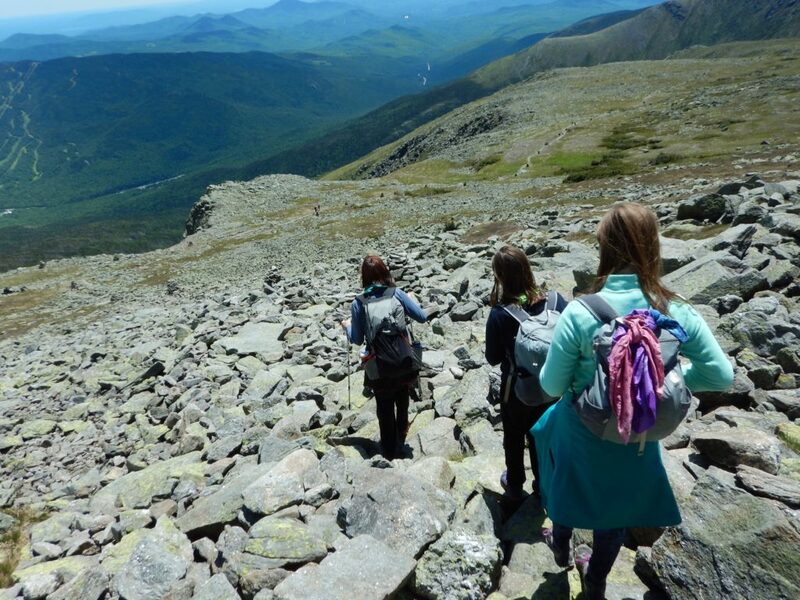 In fact, it was their connection to this trail that inspired them to take our tour and become more knowledgeable about it. Descending into the garden’s shelf. 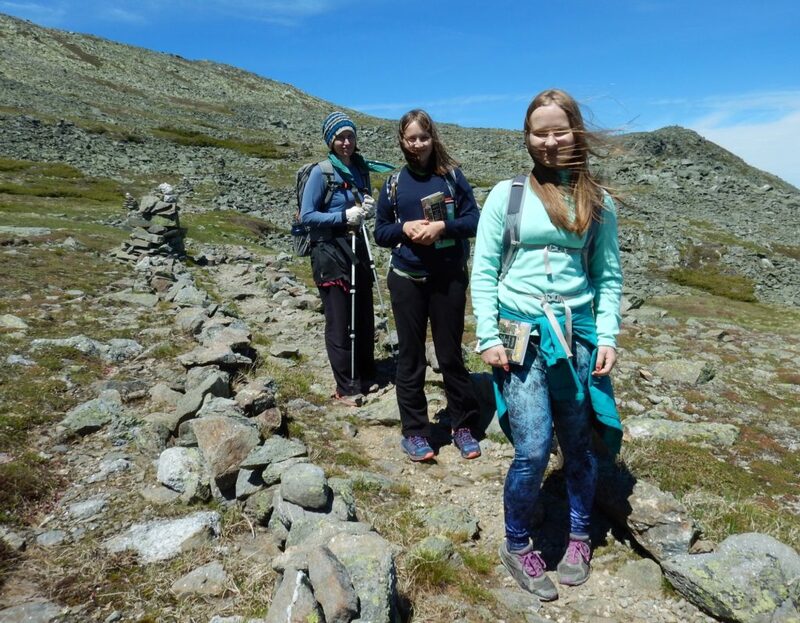 The trio enjoying fairly mild weather on a sometimes scary mountain. 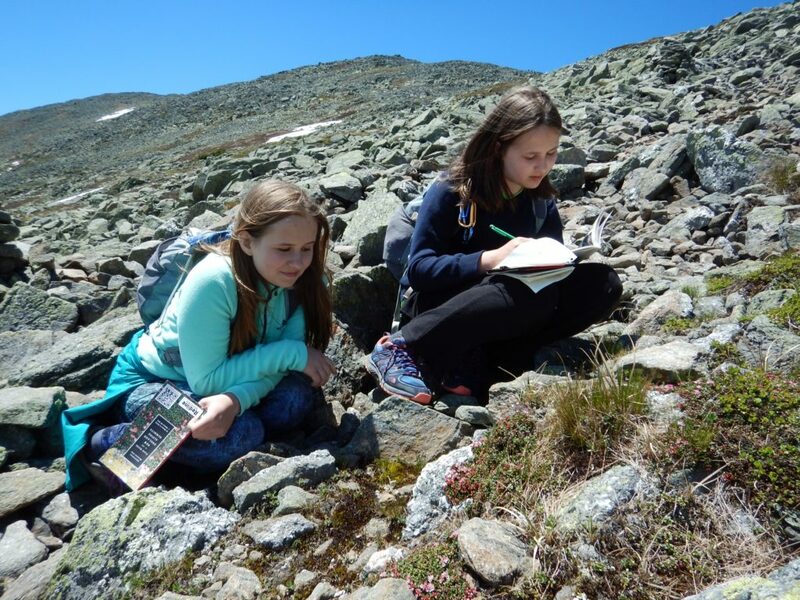 Taking a closer look, the girls inspect some of the alpine flora with the help of alpine guide books we lend out. It’s not a complete trip without a return trip. They head back. Redline Guide and Naturalist Liz Wyman doing her thing. Word has it they had a great time. If you would like to enjoy a guided nature tour of your own, or perhaps for your group, we’d love to be able to help. Please contact us today to get started, or jump right in and book now.